¿Es esta la calle Broad en Hartford? Born in Cuba and raised in Panama, Bessy is a graduate of Mt Holyoke College and earned her Masters and Law degrees from the University of Connecticut. For nine years she was a monthly opinion columnist for The Hartford Courant and was a frequent contributor to Northeast, the Sunday magazine of the Hartford Courant. For several years, she conducted radio interviews with poets appearing at Hill-Stead Museum’s renowned Sunken Garden Poetry Festival in Farmington, CT. Currently, she writes an arts-and-culture page for the Hispanic newspaper Identidad Latina and an opinion columnist for www.CTLatinoNews.com. 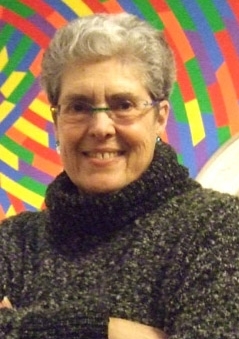 A former Master Teaching Artist for the Connecticut Commission on Culture & Tourism, she is a frequent lecturer and guest artist at colleges, libraries and museums. She has performed her poetry internationally; taught writing workshops in many venues; and served as a judge for poetry competitions, including the Connecticut Book Award for Poetry. Bessy’s awards include First Prize in the Joseph E. Brodine Poetry Competition and artist award grants from the Connecticut Commission on Culture & Tourism and the Greater Hartford Arts Council. She is the recipient of the Connecticut Center for the Book Lifetime Achievement in Service to the Literary Community Award (2009), the American Association of Hispanics in Higher Education Outstanding Latina in the Literary Arts and Publications Award, the Pioneer Award at the Inaugural Diversity Awards presented by the Vice Provost for Multicultural and International Affairs at the University of Connecticut (2006), a Living Legend Award from Saint Joseph College Department of Social Work, and the One Woman Makes A Difference Award from the Connecticut Women's Education and Legal Fund (2007). In 2001, she was named Latina Citizen of the Year by the State of Connecticut Latino and Puerto Rican Affairs Commission. In 2012 she was one of ten women honored by the CT Women's Hall of Fame. Bessy was inducted into the Immigrant Heritage Hall of Fame (IHHF) in 2017. Copyright 2010 Bessy Reyna. Design by poetskiss.